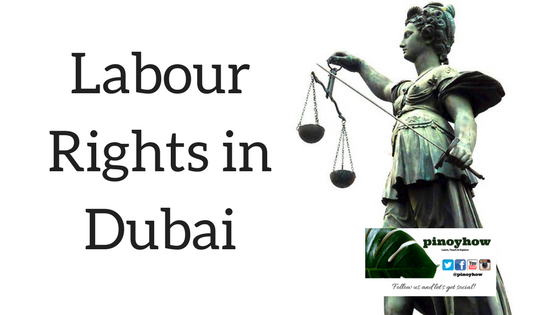 The Labour law is a federal legislation applicable to all emirates of the UAE, enforced by the Ministry of Labour and Social Affair, with litigations adjudicated by the Federal and Local Courts of the UAE. 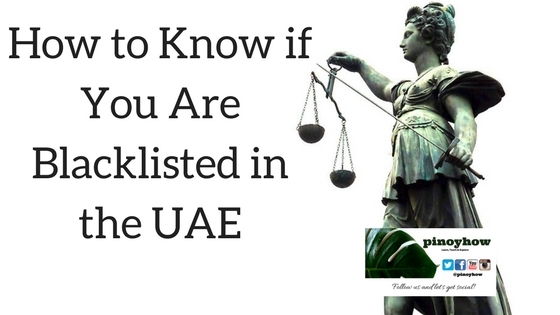 The Labour Law in the United Arab Emirates (UAE) is applicable to all staff and employees working in the UAE, irrespective of whether they are UAE nationals or expatriates. However, few categories as mentioned below have been exempted from its applicability. **Staff and workers employed by the Federal government departments of the member-emirates, public bodies, municipalities, federal and local public institutions. The Labour Law in the UAE covers all aspects of employer-employee relationships, including employment contracts, restrictions on employment of juveniles and women, maintenance of records and files, leave rules,working hours, medical and social care, safety of employees, discipline codes, termination of employment contracts, end-of-service benefits, compensation for occupational diseases, penalties and employment related accidents, labour inspections, injuries and fatalities. For employment of any expatriate employee, an application will have to be made to the Labour Ministry in the UAE. This application should be approved by the Labour Ministry before the employee enters the UAE. Such employment permits have a validity of three years, subject to renewals for the same period. The Labour permit for an expatriate employee cannot be issued by the Labour Ministry, unless a formal written labour contract has been filed with the Ministry. 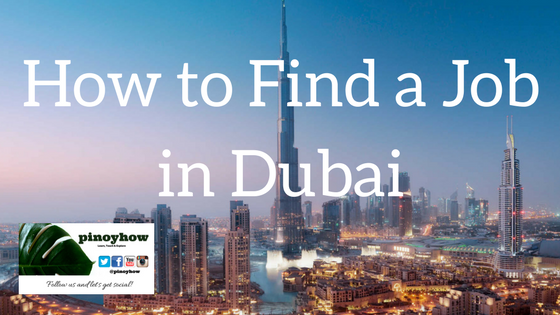 But, nationals in the UAE can enter into an employment contract at any time. Limited Employment Contracts are for a specified duration with characteristics such as specific commencement and completion date, not more than four years. However, it can be renewed with mutual consent. The employment automatically terminates at the end of contract period. However, in the case of unlimited contracts, there will be a true commencement date, but no completion date. The contract is terminated on mutual agreement by either party, by giving a 30 day notice of termination. The employee will, however, be entitled for compensation, if the termination of the contract by the employer is for an unjustified cause. The Article 37 of the Law stipulates that the period of probation can be for a maximum period of six months. An employee or the employer can terminate the employment contract at any time during the probation period without the employer being liable to pay the end of service gratuity or the employee compensation for damages. All wages and benefits during the probation period should be paid along with repatriation costs, provided, the termination of employment contract is at the behest of the employee. On completion of the probation period, it will be considered as an employment with the employer, and the employee will be considered for calculating gratuity and other terminal benefits. However, the end-of-service gratuity or compensation in lieu of notice need not be paid by the employer during the probationary period. Probation is not compulsory, and is left to discretion of parties to agree upon the actual term of probationary period. According to the law, remuneration is paid to the employee in return for his services under a labour contract, whether in cash or in kind, annually, weekly, monthly, daily, hourly, on a piece-rate, or productivity linked. Wage also includes cost of living allowances and incentives in recognition of honesty or efficiency, provided, these incentives have been specified in the labour contract or are part of internal rules of the establishment. The term 'basic wage' is the wage specified in the labour contract as agreed between the parties for the term of contract. Any allowances of any nature are not included in basic wage. The UAE labour law does not prescribe any minimum wage. Wages can be paid in any currency, including UAE Dirhams or other currency, as agreed by the parties mutually. College and university students sponsored by the institute under which they are enrolled are allowed to work part-time under certain conditions, with a part-time work permit provided by the Labour Ministry. Part-time employment permit is also open to expatriate residents working full-time, holding a valid labour card. It is also open to expat wives sponsored by their husband. The part-time employment permit basically permits the holder to remain employed in more than one part-time job. Part-time work permits are available with a validity period of one year. However, female dependents and students with UAE residence visas, and expatriate male dependants who are sponsored by Emirati women do not need a work permit to work part-time. 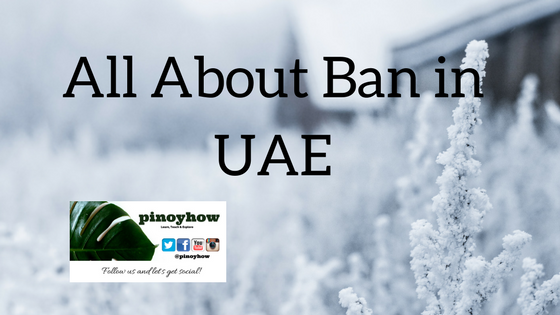 Employment of Juveniles under the age 15 is banned in UAE. However, effective January 2011, teenagers in the age group 15-18 years are allowed to work, on obtaining a teenage work permit from the Labour Ministry. However, there are certain restrictions on the type of work and hours of employment. Employers, before employing a juvenile, should retain copies of certain documents in the juvenile’s personal file, such as birth certificate, physical fitness certificate issued by a specialized physician, written consent from juvenile’s guardian, etc. Further, the employment of a juvenile is prohibited when the job requires night shifts, or involves hazardous jobs or is harmful to health, such as underground jobs in mines, quarries, furnaces of melting metals, oil refining, asphalt industry and bakeries. Further, when working hours exceed six hours a day, one or more breaks should be provided. Juveniles are not permitted to work overtime, or on holidays. A Juvenile work permit has a validity period of one year. Employment of women at night between 10:00pm and 7:00am is prohibited, except under certain situations such as during work stoppages due to force majeure, employees in technical and administrative position, or other jobs as determined by the Labour Ministry, wherein the woman employee is not required to perform a manual job. Women are also not to be employed in difficult tasks and other duties harmful to health or morals. The maximum working hours for an adult employee is eight hours a day (48 hours a week). This can be increased to nine hours a day, for specific jobs like those in cafeterias, hotels, trades and guards. The travel time is not included in working hours. If the nature of job requires overtime, employee shall be paid for the extra time, wherein the payment shall be equivalent of the wage paid during regular working hours, plus an increase of not less than 25 percent of his wage for overtime period. However, if the overtime hour of the employee falls between 9:00pm to 4:00pm, the employee will be paid an overtime equivalent to normal working hours plus increase of not less than 50 percent of his wage for the overtime period. If the employee is required to work on a weekend, he shall be given a day off during the week as a substitution, or will be paid a basic wage, plus minimum of 50 percent of that wage. Under any circumstance, overtime hours shall not exceed two hours in a day, except if the work is mandatory to prevent huge losses. However, all the above provisions may not be applicable to people in senior position, or in administrative supervisory role, or if such people have similar authority over employees or as the authority of the employer. This is also not applicable to crews of naval ships or marine employees. For every year of service, an employee is entitled to, an annual leave of not less than two days for every month, provided, his service is more than six months and less than a year. Thereafter 30 days annually if his service exceeds one year. At the end of the service, the employee is entitled to an annual leave for the fraction of the last year, he spent in service. During the employee's annual leave, he/she will be paid basic wage plus housing allowance, if applicable, along with any other allowances, which he receives during normal working month. The employee will have to report to the employer any illness or injury that prevents his from working, within maximum of two working days. The employee may not be entitled for any sick leave during the probation period. Following a three month period of continuous service following the probation period, the employee entitled to full wage during first 15 days of sick leave, half wage during next 30 days, and without pay for any following period. Women employees are entitled for 45 day maternity leave with full pay, including the period before and after delivery, provided she has served the organization continuously for not less than a year. At the end of maternity leave, the employee can extend her maternity leave for a maximum period of 100 days without pay. The UAE Federal Labour Law specifies certain provisions for employee safety and healthcare, stipulated under Article 91 to Article 101. The provisions of the law mandates that every employer should provide his employee with protection against occupational hazards during work, display instructions regarding fire prevention, make available first aid kit, provide clean and hygienic working environment, offer medical care up to standards determined by labour ministry, and ban entry of alcoholic drinks into the work premises. An employer is also responsible for providing suitable transportation, accommodation, food, drinking water, and means of entertainment or sports activities to the employees. All these services, except food material, will be on employer’s account. An employment contract can be terminated under circumstances such as, the two parties agreeing to cancel the contract mutually with the employee consenting to give this in writing, or, at the end of contract term according to rules of law, or if one of the two parties wish to end the contract, provided, they provide the notice as per the provision of the law, with acceptable reasons to cancel the contract without prejudice. At the termination of the employment contract, an employee is entitled to any amount due in lieu of notice period, particularly, in case of unlimited contract. The employee is eligible for compensation (in case of unreasonable dismissal by employer) in case of unlimited contract, or compensation equivalent to the period until end of contract in case of limited contract, settlement of any balance of unutilized leave, or overtime payment balance, end of service gratuity calculated or repatriation expenses. Any employee, who completes one year or more in continuous service, shall be eligible to gratuity at the end of the service. The gratuity is calculated as 21 day’s wages for every year of the first five years, and 30 day’s wages for each additional year thereafter, provided, that total gratuity shall not exceed the wages of two years. Gratuity is calculated on annual basis, after the employee completes at least one year of service. An employee may be deprived of gratuity if he has been dismissed for any of the reasons stated in Article 120 of labour law, or if he left the job at self-will to avoid dismissal, or if the establishment has a pension scheme, which could be beneficial substitute to the employee instead of gratuity. In case the widow/widower lives with parents and offspring who were dependent on the deceased, the compensation will be divided as in a manner wherein the widow/widower will take one-eighth, and if more than one widow, this one eighth will be divided equally among them. The parents shall take one-third divided equally between them. If there exists one or both of parents and a child, supported by deceased employee, who left behind no widow, the child shall take two-thirds, while the remaining third goes to the parent or parents in equal share. In the absence of widow/widower, parents, brothers and sisters, the compensation will be distributed equally among children of the deceased. If the deceased has only dependent parents, then the amount will be distributed equally between the parents. These are all different terms for the same thing, which implies that the employee or the worker is not allowed to work in the UAE for a certain period of time. An employment ban can be usually for six months, one year, or permanent. A six month ban is automatically imposed when leaving a job, unless there is reason not to, or when a longer ban in imposed. A one year ban is imposed when a worker resigns before completing the limited contract period. A one year ban is imposed mostly in cases of expat workers leaving government jobs, expat workers who break the terms of their labour contract, in case of expatriates who lose a case with labour department against their employer if they were on temporary work permit and filed case with labour department, and possibly against workers who leave their job within a year of starting. A permanent ban is imposed on absconding employees, or on those who break the labour law in any way. During a ban, although nothing may be stamped on the employee’s passport, when a new employer submits an application to Labour Ministry, it will automatically be rejected, if a ban is already on the employee’s name in the computer file. It may be possible to avoid or lift a ban by paying a fee, when transferring from one sponsor to another. However, it is best to check with the labour department of the particular emirate about transfer of sponsorship, ban lifting fee etc. 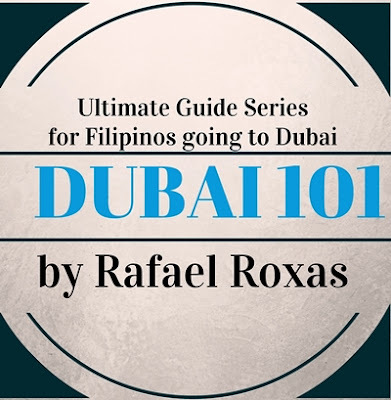 However, no labour ban will be imposed on UAE nationals who are not subject to labour bans, expatriate workers moving to a government job, oil company employees, expat workers moving to another employer within same free trade zone, expats having completed fixed term contract and having given notice in advance about not renewing it, expats who complete one year of unlimited contract and get NOC from current employer, expats sponsored by their spouse for residence visa, and in cases of expats having worked in the same company for more than two years (as of January 2011) on unlimited contract. Points to be noted To minimize the risk of problems, it is better to be aware of the following: Legally, the Arabic version of the labour contract is more valid in the UAE. However, the employee should be given an English version of the contract, too. A verbal contract is worth nothing. A written contract is a must, and the contract should be carefully read before accepting a position. In case a company does not send a contract copy before arrival of the employee, or if the employee is asked to sign on a different contract, the employee should be more cautious in his approach. In case of any issues with the employer, the employee can seek a legal opinion, as there are plenty of lawyers in the UAE to contact about such legal issues. However, it is better to be aware that the one with the most influence will win. Else, the employee can also contact his/her embassy for contact details of lawyers in UAE. Question/s? Feel free to comment below and or post a question on our social media accounts with hash tag #AskPinoyHow.